Super Terrain, artists and graphic designers collective, reinterprets the science fiction novel by Ray Bradbury, Fahrenheit 451. 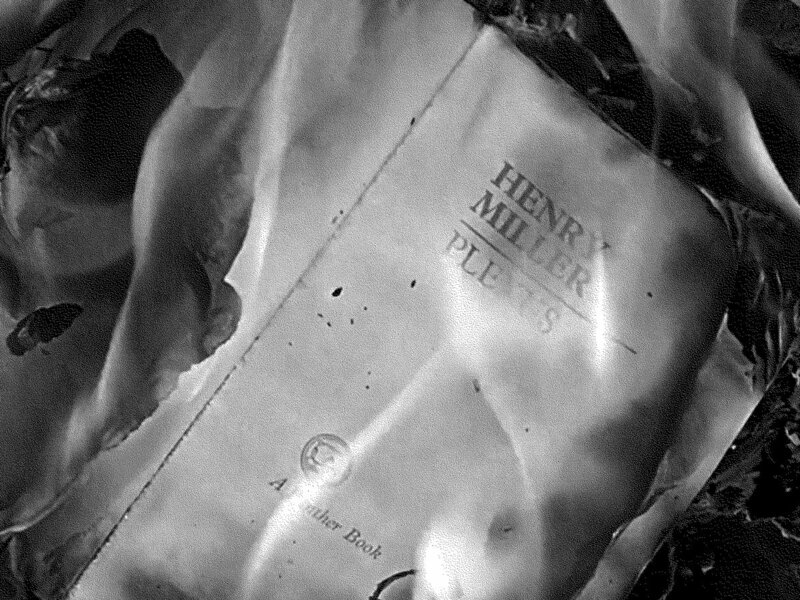 In this dystopia, books – being the objects of resistance to the tyranny of happiness – are forbidden, tracked down and burned by the firemen. 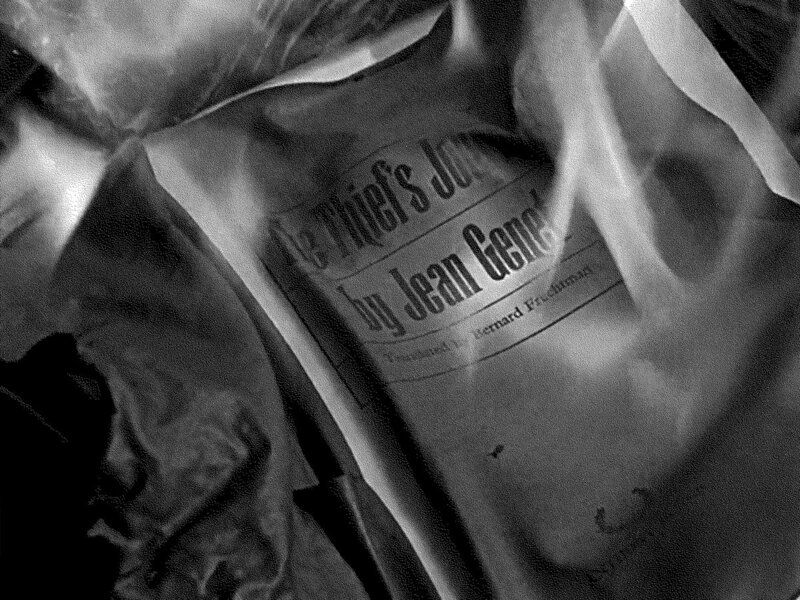 This special edition, appearing at first black as if carbonized, reveals its visionary content as soon as it is exposed to heat from a flame or hand. 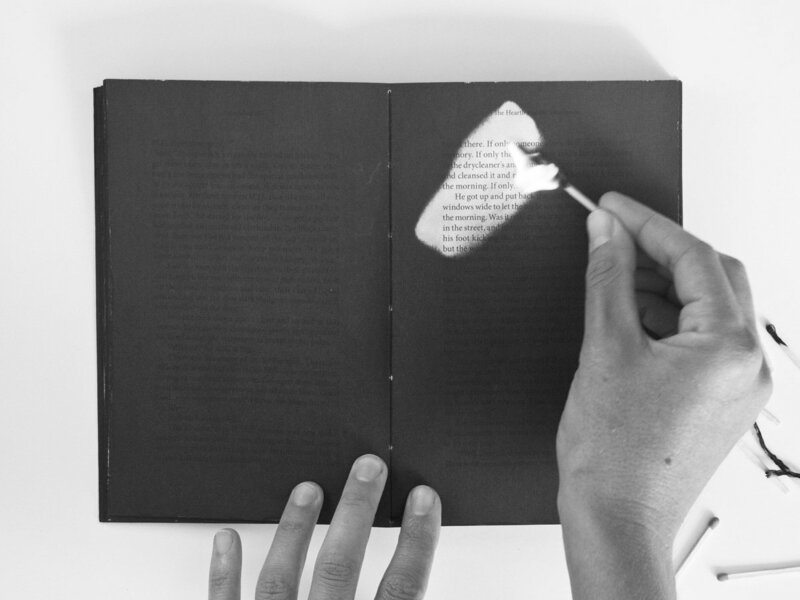 A sensitive link is drawn between the book as a material and the content of the novel. The paperback goes back to black as it cools down. In the time of ubiquitous digital and screens, this edition embodies the questions raised by Ray Bradbury on the role of memory and culture in our society. 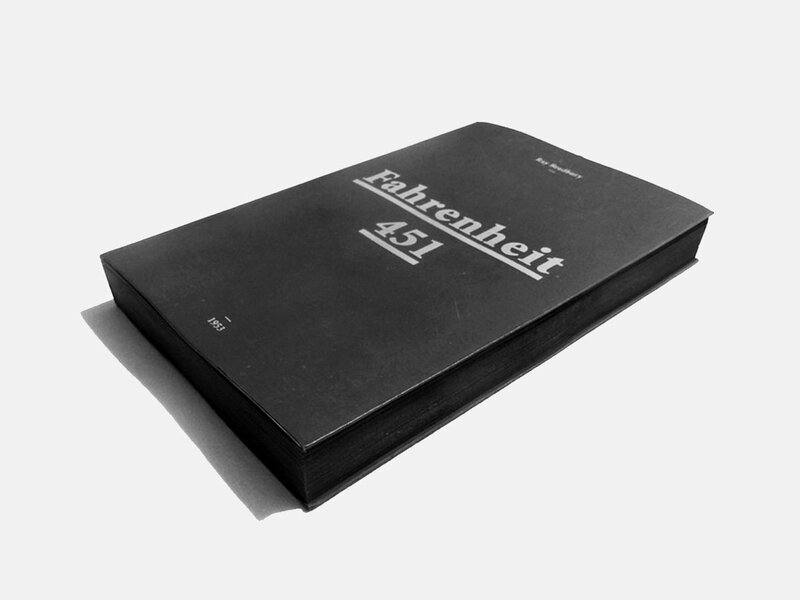 After the broadcasting of the display video, there was a great demand and Super Terrain decided to launch a pre-order campaign for the production of Fahrenheit 451, limited to 100 copies. Shipping charges are included in the pre-order price (Customs dues are not included for order coming from out of European Union). Super Terrain, artist and graphic designers collective, presents a limited edition of Ray Bradbury’s science fiction novel : Fahrenheit 451. This dystopia shows firemen burning books as they are seen as obstacles to peace and happiness. The author questions the central role played by books in culture and exposes the possible drifts of a society ruled by immediacy. This tyranny of happiness prevents any form of contestation that could be nurtured by reflexion, memory or culture in books or works of art. 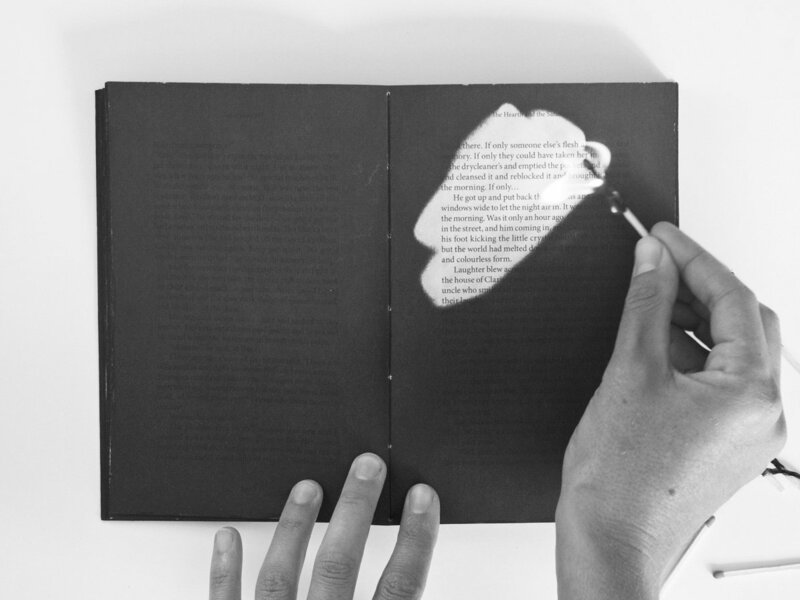 This new edition of Fahrenheit 451 by Super Terrain is an artist’s book in which the object echoes the fiction it contains. At first glance, it is completely black, as if carbonized, already a victim of the firemen’s assault. 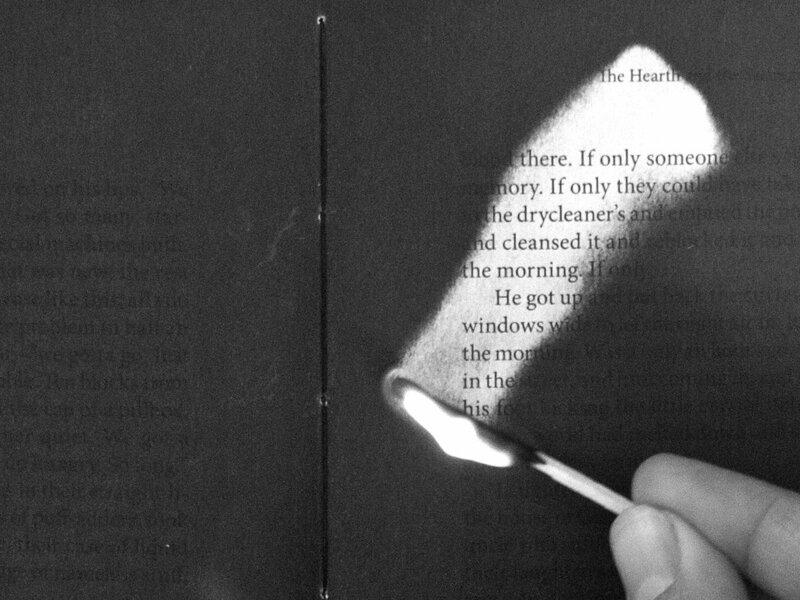 But, as you warm it up with a flame or with your hand, page after page, the black ink disappears and reveals Bradbury’s text. As it cools down, it goes back to black, neat and apparently deprived of its power of subversion, memory and reflexion. 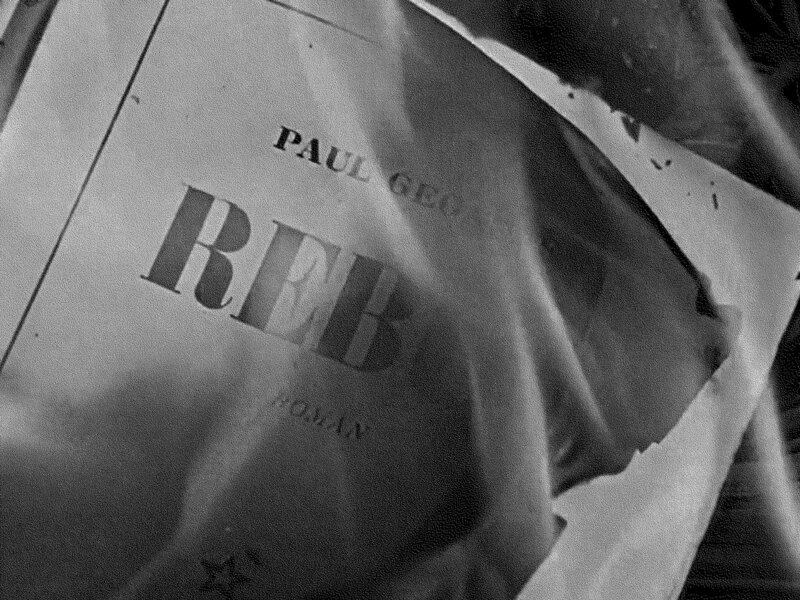 This black book could be part of Bradbury’s fiction as a trick to keep and hide away the books from the pyromaniac firemen. 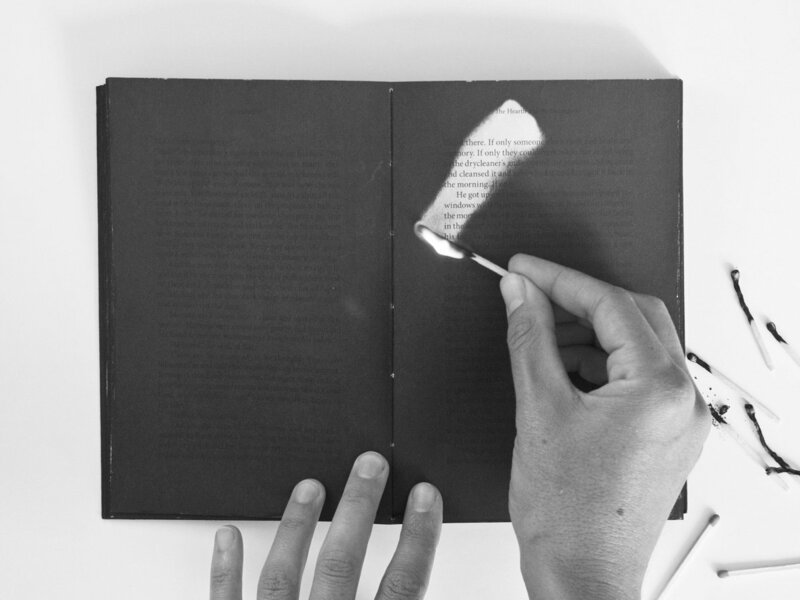 By setting the book on fire, the reader plunges into the novel and becomes the hyphen between reality and fiction. 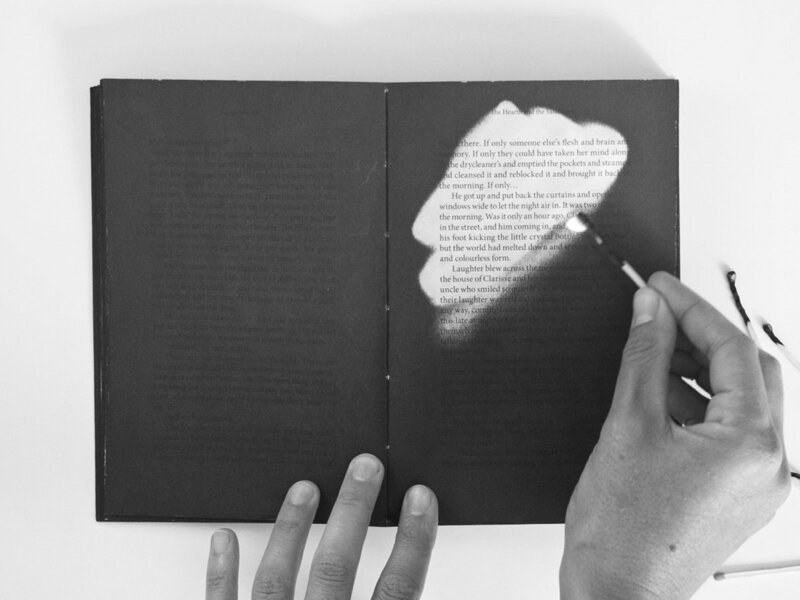 This edition underlines Fahrenheit 451’s contemporaneity. In the 1950’s when the novel was written, screens began creeping in homes, which they invade nowadays. 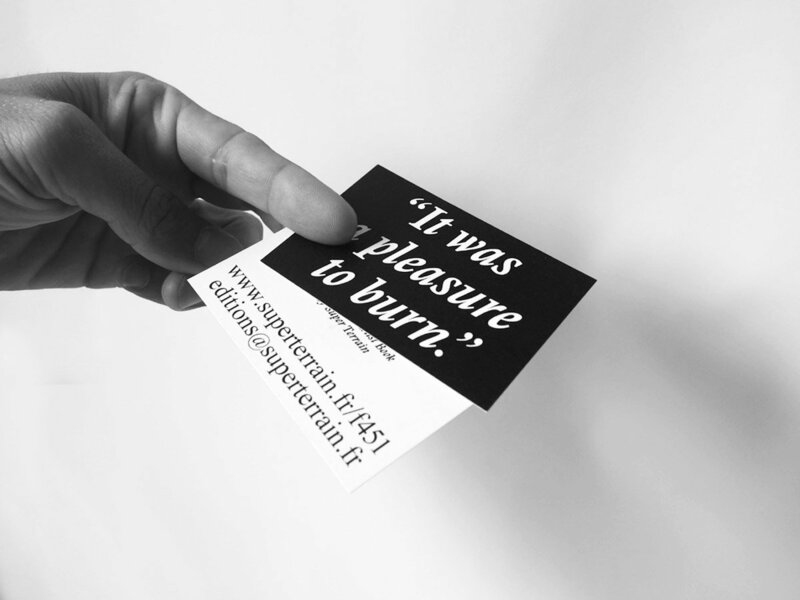 In the time of continuous flow of images, selfies, fake news, tweets and other “digest-digest-digests”, Super Terrain delivers us the contemporary reading of Fahrenheit 451. So far, the display video of Fahrenheit 451 by Super Terrain has more than three million views on the internet and social networks, which shows a great resonance with our contemporary world. 1 • Ray Bradbury, Fahrenheit 451, p. 21, Simon & Schusters Paperback. 2 • Ray Bradbury, Fahrenheit 451, p. 29, Simon & Schusters Paperback. 3 • Ray Bradbury, Fahrenheit 451, p. 99, Simon & Schusters Paperback. 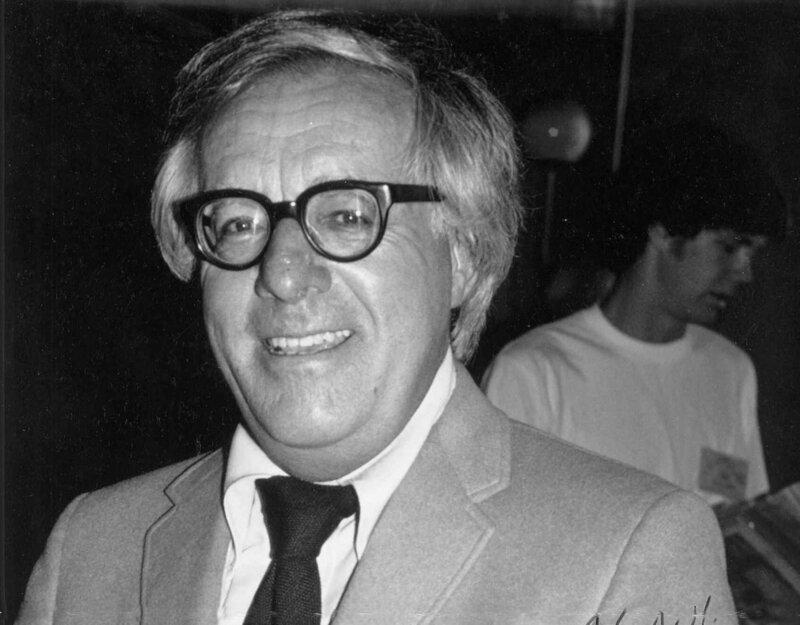 4 • Ray Bradbury in an interview about Fahrenheit 451. 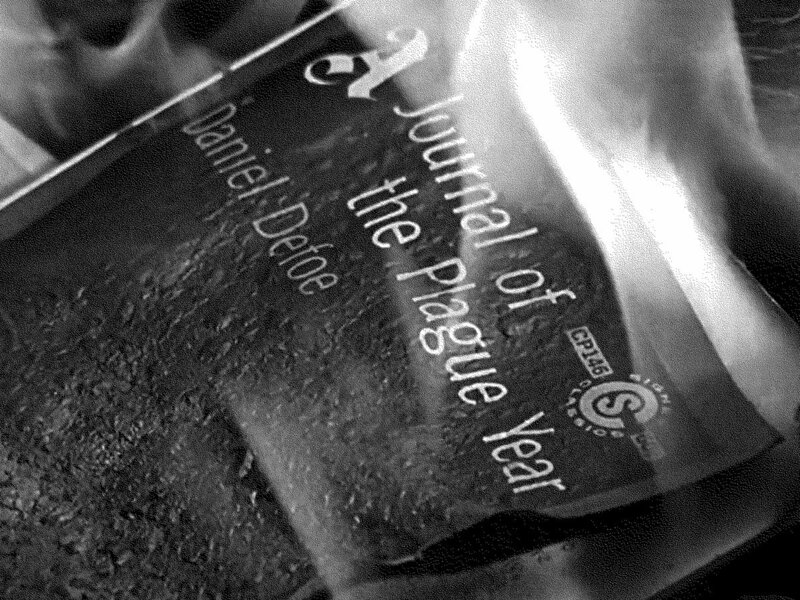 100 copies are available,each copy is signed and numbered by Super Terrain. Our team will keep you updated with each step of the production (printing, binding, shipping, etc) via the newsletter dedicated to this project. Once the pre-sale campaign is closed, the production will start in January 2019. You will be informed of the shipping schedule at the end of the pre-sale campaign. The book will be shipped in its dedicated book-case and in an appropriate packaging. 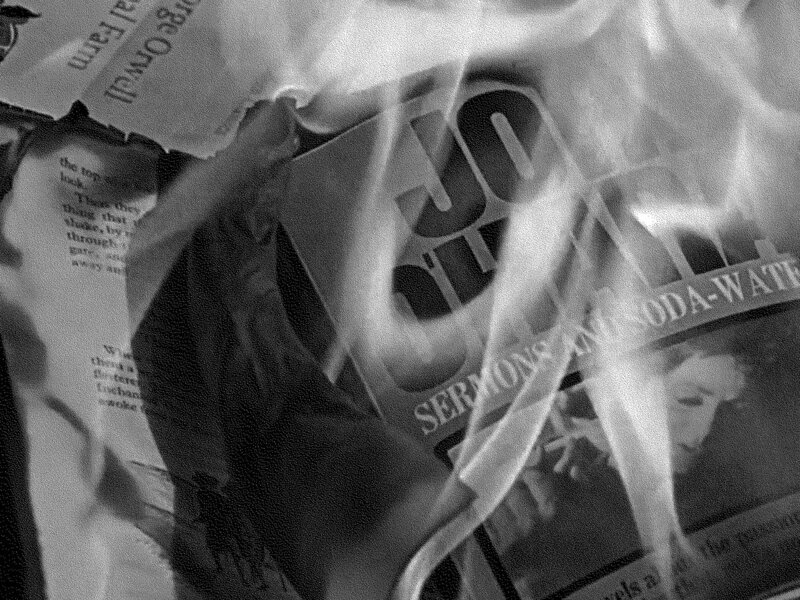 Picture extracted from Fahrenheit 451, movie directed by Francois Truffaut, 1966.
Credit : Photo by Alan Light, 1973.